In support of the Purplestride Walk for Pancreatic Cancer, Burry donated bagels to walkers on June 9th in Washington, DC. 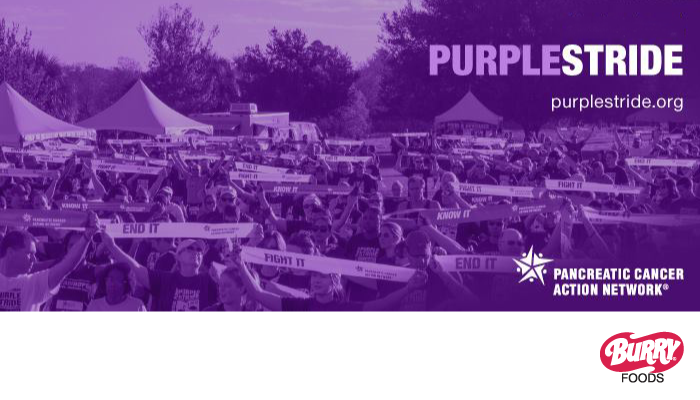 To learn more about how you can support this worthy cause visit purplestride.org or visit their Facebook page @JointheFight. PurpleStride fuels progress. And thanks to those who fundraise for PurpleStride, the Pancreatic Cancer Action Network is able to continue advancing research, serving more patients and families, and being the leading provider of pancreatic cancer services and information in the world.